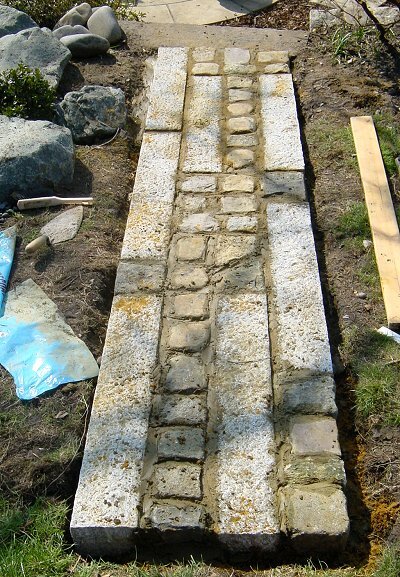 This is the stone path leading from the patio to the step-stone at the tea house entrance. 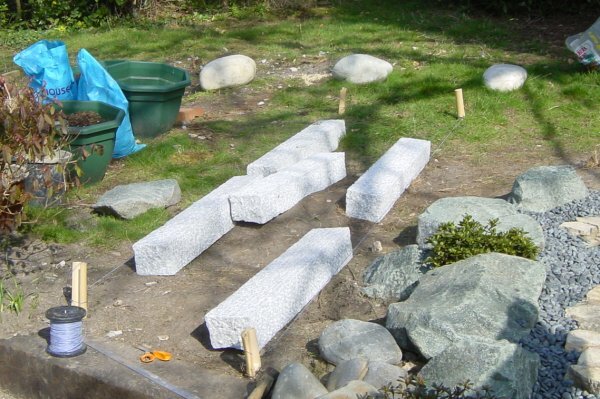 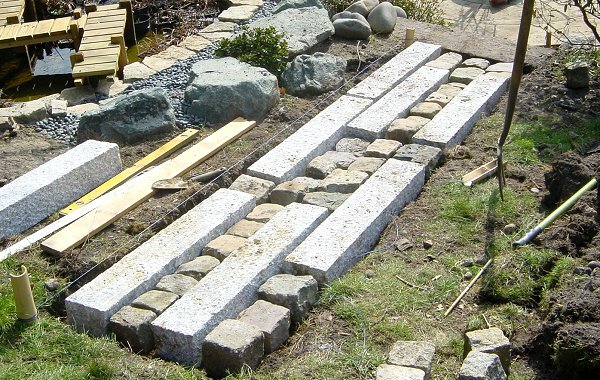 The beginnings of the granite path to the teahouse. 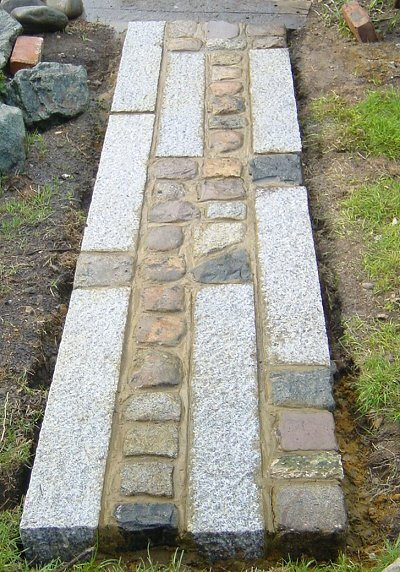 The path really taking shape.